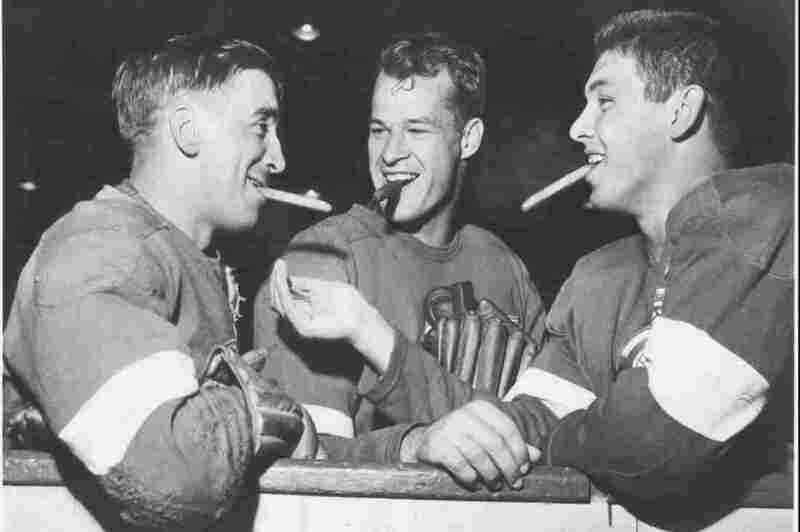 Gordie Howe (center) spent most of his career with the Detroit Red Wings, leading the team to four Stanley Cup championships. He finished his pro hockey career with 1,071 goals and 21 NHL All-Star appearances. Gordie Howe, whose record-setting five-decade professional hockey career earned him the nickname "Mr. Hockey," has died at 88. The Detroit Red Wings confirmed his death on Twitter. Over 32 professional seasons, the Canadian-born Howe was a fierce competitor on the ice and a beloved figure off it. Throughout his record-long career, Howe was named Most Valuable Player half a dozen times, was in the top 10 in scoring for 21 consecutive years (until Wayne Gretzky broke many of his records), and in the 1950s, led the Detroit Red Wings to four Stanley Cup championships. Bigger and stronger than most players, and ambidextrous, Howe was an almost unstoppable scorer. He was also, in the words of one opponent, the meanest SOB who ever put on skates. A man who intimidated one player by lifting him completely off the ice, by his nostrils, and could freeze even future Hall of Famers such as Phil Esposito, who recalled in a documentary a well-placed elbow in the mouth from Howe. 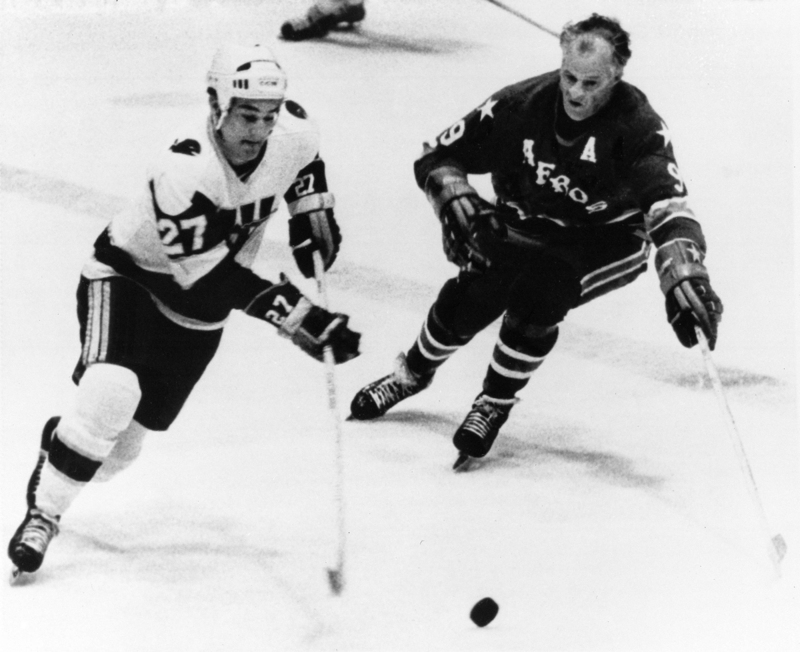 Gordie Howe came out of retirement in 1973 to play with the Houston Aeros alongside his two sons, Marty and Mark. "And I could feel the blood," Esposito recalls. "And I said, 'And you used to be my so-and-so idol.' He looked back and he says, 'What'd you say?' I said, 'Oh nothing Mr. Howe. Absolutely nothing.' "
Yet the man who is perhaps the greatest hockey player ever was so self-deprecating that he was reluctant to even say his name into a microphone. "Oh, I forgot. Ha! Yes, this is Gordie Howe, sometime known as Mr. Hockey," Howe told WDET in 2000. "And it's a name I'm very, very, extremely proud of. And now it means I have a double autograph. "How I got it I have no idea," he added. "It was put into print before I recognized it." Howe gained the nickname because for many he was hockey. There's even something called a "Gordie Howe hat trick" — for a player who scored a goal, had an assist and got in a fight in a single game. And Howe got into a lot of fights as a rookie. Then-Red Wings coach Jack Adams helped him channel his aggression — using it to make opponents back off a bit. "In that one conversation, he molded me into the player I should be," Howe said. "Hit and be like a dogcatcher. Anything moves, run at it. Ha." Howe remains an icon in the city of Detroit and for players such as former Red Wings All-Star Chris Chelios, who says Howe was a walking contradiction — a tough guy on the ice and a teddy bear off it. 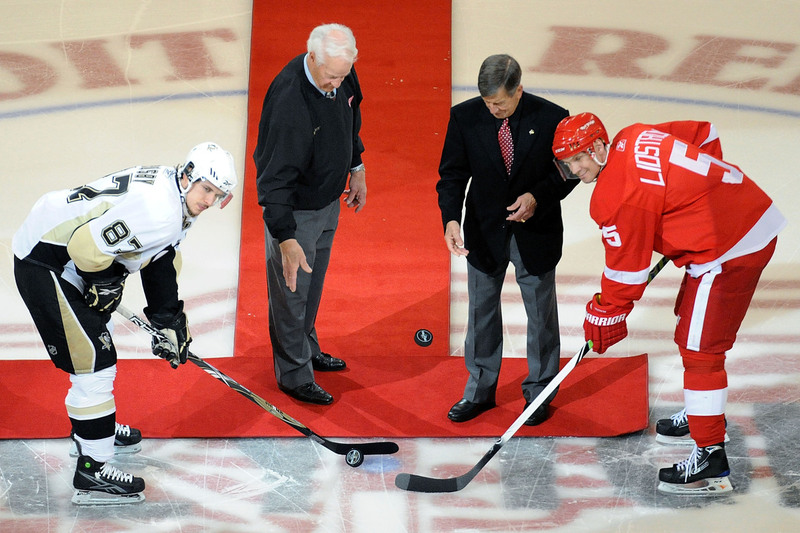 Hall of Famers Gordie Howe and Ted Lindsay drop the ceremonial pucks before Game 1 of the 2009 Stanley Cup Finals at Joe Louis Arena in Detroit. "Great sense of humor," Chelios says. "Never too serious. When things were going bad, he'd show up and try and lighten up everybody." Howe played for a quarter-century in Detroit before retiring in 1971 because of arthritis in his left wrist. But two years later, he was back on the ice, lured by the prospect of playing with his two sons (his son Mark would also become a Hall of Famer) in the fledgling World Hockey Association. In his mid-40s — an age when many pro athletes are in a broadcast booth or on the golf course — Howe took his new team, the Houston Aeros, to several championships and again was voted Most Valuable Player. When Howe began his career, Harry Truman was president. By the time he finally retired from the NHL for good, Jimmy Carter was in the White House. Hockey Hall of Fame historian Phil Pritchard says Howe had every right by then to be a self-involved sports diva, but he never acted that way. "I think more than anything he cares that you're a fan of his," Pritchard said. "And I think that's what makes Gordie Howe, Gordie Howe." For nearly four minutes, fans at Joe Louis Arena in Detroit gave Gordie Howe a standing ovation at the 1980 All Star Game. Despite a cascade of honors spanning five decades, Howe said there was still nothing that topped the simple joy he first felt as a boy: lacing up a pair of skates and stepping onto a makeshift rink. "I froze my nose and my hands and my feet," Howe said. "I'd come in, the cheeks would be — I'd be putting snow on my face trying to thaw it out. I enjoyed the game that much." It's a game — players and fans, past and present — that loved Gordie Howe back just as much. An earlier headline on this story called Gordie Howe a U.S. hockey legend. While the bulk of his career was in Detroit, he was born in Canada.